The Los Angeles Angels welcome the Baltimore Orioles to Angel Stadium on Sunday. The probable starters are Chris Tillman for the Orioles and Jered Weaver for the Angels. The opening line for this matchup has Baltimore at -110 and Los Angeles at -110. The over/under was set at 7.5. The Orioles have a 45-56 over/under record and a 58-50 run line mark, meaning they cover 54% of the time. The Angels have a 50-54 over/under record and a 52-56 run line mark, which means they are covering the spread 44% of the time. The Orioles show up with a 55-53 record, including 21-32 on the road. Starting pitcher Chris Tillman holds a 8-7 record with an earned run average of 4.35 and a WHIP of 1.32. In his starts, the Orioles are 10-8 over his 113.2 innings pitched this season while giving up 109 hits during those innings. Their record against the over/under when he starts is 11-6. He is getting 4.2 runs from the team when he takes the mound. The bullpen has given up 279 hits on the season and have an earned run average of 2.82. Opposing teams are hitting .227 against the Orioles bullpen while walking 118 times and striking out 330 times. Baltimore is averaging 7.64 strikeouts per game while getting 8.51 hits per nine innings as a team. They rank 13th in baseball in team earned run average at 3.79. As a team, Baltimore is batting .255, good for 10th in the league while putting together a .245 average away from home. The Orioles on-base percentage sits at .309, which puts them at 20th in the league and they have a team slugging percentage of .422. Manny Machado leads the team in hits with 120 while the team ranks 15th in baseball with 8.56 hits per game. Los Angeles is 35-22 at home while holding a 58-50 overall record on the season. With an earned run average of 4.75, Jered Weaver will come into this game holding a 4-8 record and a 1.24 WHIP. In his starts, the Angels are 6-9 and he has allowed 104 hits over 96.2 innings pitched this season. Their record against the over/under when he starts is 6-8. He is getting 3.3 runs from the team when he takes the mound. The bullpen has given up 272 hits on the season and have a team earned run average of 3.47. Opposing teams are hitting .237 against the Angels bullpen while walking 95 times and striking out 272 times. Los Angeles is averaging 8.8 strikeouts per game while getting 8.22 hits per nine innings as a team. They rank 4th in the league in team earned run average at 3.40. As a team, they are batting .254, good for 12th in the league while putting together a .258 average at home. The Angels on-base percentage sits at .329, which puts them at 3rd in the league and they have a team slugging percentage of .426. 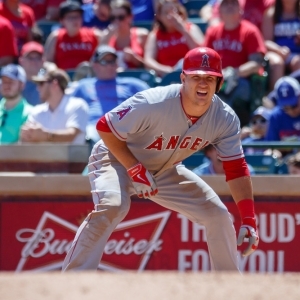 Mike Trout leads the team in hits with 117 while the team ranks 20th in baseball with 8.43 hits a game. In terms of team defense, the Orioles have a fielding percentage of .990 with 41 total errors, 1,030 assists and 2,845 put outs. The Angels have committed 57 errors on the season with 974 assists and 2,882 put outs leading to a team fielding percentage of .985 on the year.